Chartered in 1964, the Buffalo Gateway Chorus is an award-winning Western New York-based nonprofit organization of over 90 women singers. We celebrated our 50th anniversary in 2014 ! Ignite a spark that may have been dormant inside of you and visit a Wednesday night OPEN HOUSE rehearsal this year. You will find that the energy, musical excellence and friendship is unsurpassed in WNY choral circles! We love to get out and sing for our community. We sing at our annual show, a number of community events, and at annual competitions. In addition to sharing our music with others, another great passion of ours is learning more about the art of acapella singing. Vocal instruction is a regular part of chorus rehearsals and a very important component of the chorus experience. 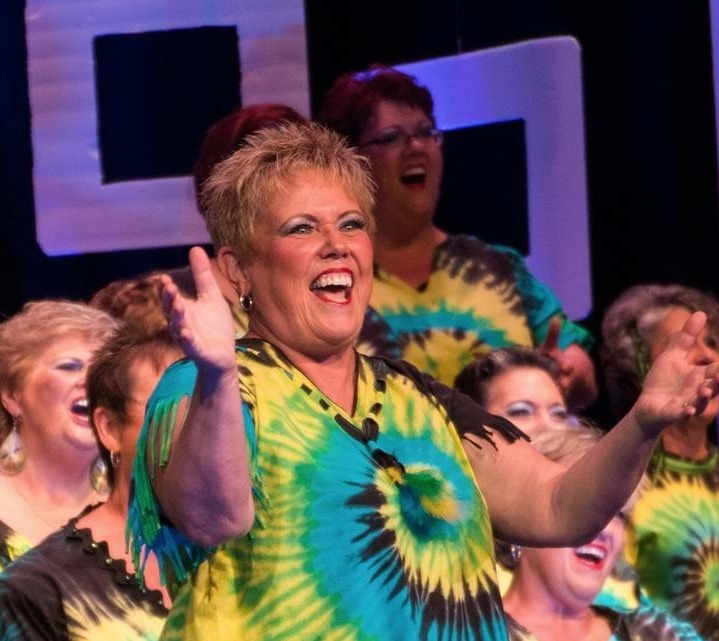 Several times a year we benefit from the coaching expertise of master instructors within the Sweet Adelines organization. As a result, we learn many fabulous tricks of the trade. We are a Chapter of Sweet Adelines International, Inc. We sing four-part harmony, in the Barbershop style. Barbershop harmony is a style of unaccompanied vocal music characterized by four-part chords for every melody note in a predominantly homophonic texture. The melody is consistently sung by the lead, with the tenor harmonizing above the melody, the bass singing the lowest harmonizing notes, and the baritone completing the chord. We rehearse on Wednesday evenings at 7:00 p.m. Sacred Heart School at 5331 Genesee Street in Lancaster, New York 14026 We would love to have you visit and sing with us!